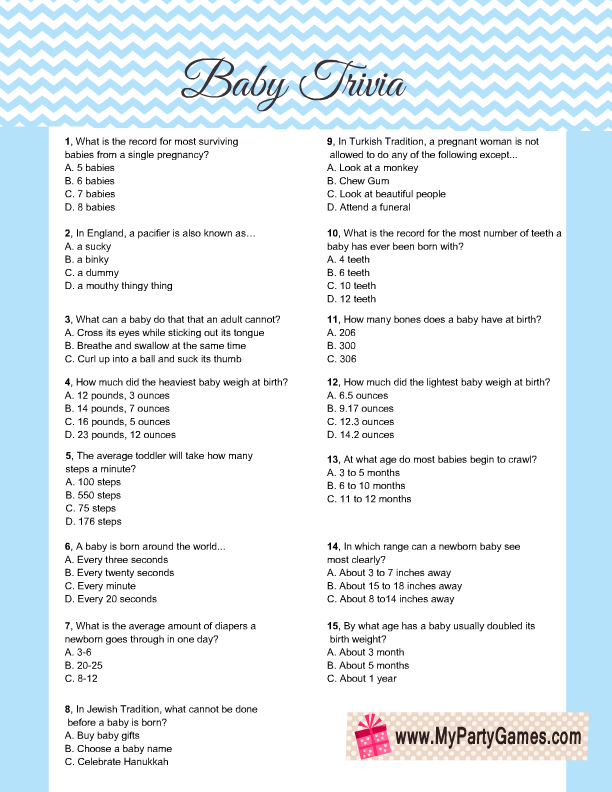 Today I made this Free Printable Baby Trivia Game for Baby Shower Party in four different colors along with a printable answer sheet. I have made this game in blue, pink, yellow and green colors. I have gathered the questions and answers from various places on the internet. I have tried my best to provide the most correct answers but pardon me and also notify me if there is some error. All the games are free for personal use and I have made these in PNG format. In order to save a game just click on it’s thumbnail preview and the printable PNG image will open up. 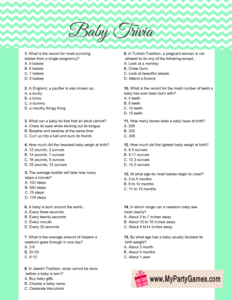 Print the baby trivia questions sheet in the color of your choice. Distribute these game sheets among your baby shower guests along with a pen or pencil. Ask them to circle the right answer among the options given for each question. The person with most accurate answers will be the winner. I simply love this free printable that I have created for this game. It has a chevron pattern on the top and light blue border around the text of the game. You can save this game for any boy baby shower party. If you are having a girl baby shower then you should download this free printable baby trivia game in pink color to test the knowledge of your baby shower party guests. 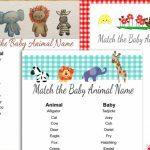 Here are two adorable trivia game worksheets in yellow and green colors, for a gender neutral baby shower party. Just click on the thumbnail image of the game in the color that you like and a bigger printable image will open up. 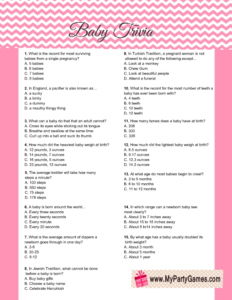 Here is an answer sheet for this baby trivia game. You will only need one copy of this answer sheets. I have highlighted all the correct answers with bold letters. 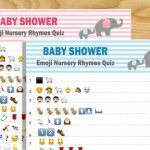 If you think that my trivia games are not enough then please visit these links for many more interesting baby shower trivia games printables and ideas. 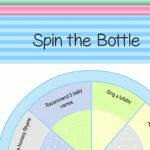 This is a very cute and free printable trivia game along with a printable answer sheet. 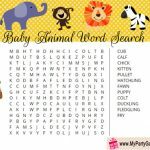 I have collected many questions and answers in my Free printable Baby Trivia game but if you are looking for some more questions then the link I have shared above will be really useful. There is a very simple and printer friendly Trivia quiz on this website with 5 simple questions and an answer key. This quiz is in PDF format. A simple and elegant Trivia game printable in blue color. There is also a very interesting word scramble and memories of mom activity on this website. 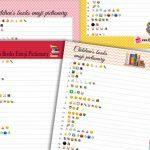 Nursery Rhymes trivia game in four different colors and with adorable graphics. Please share your feed back and experience of playing this game on your baby shower party. Your baby trivia. #8 the correct answer is A&B.